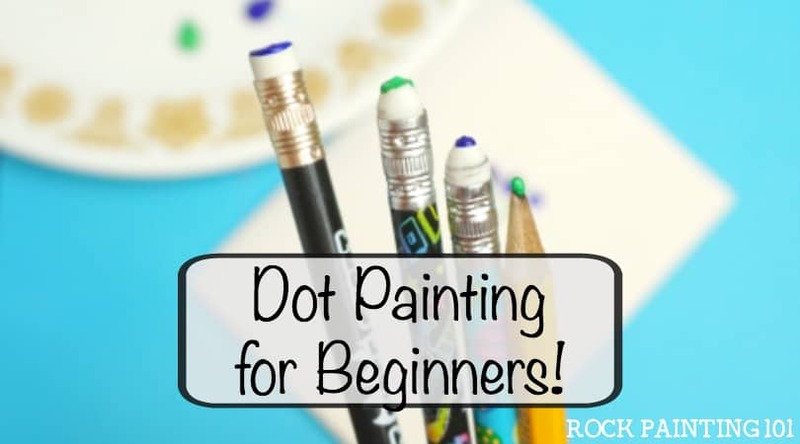 This fun way to stack dots will help you to master your dot painting technique. 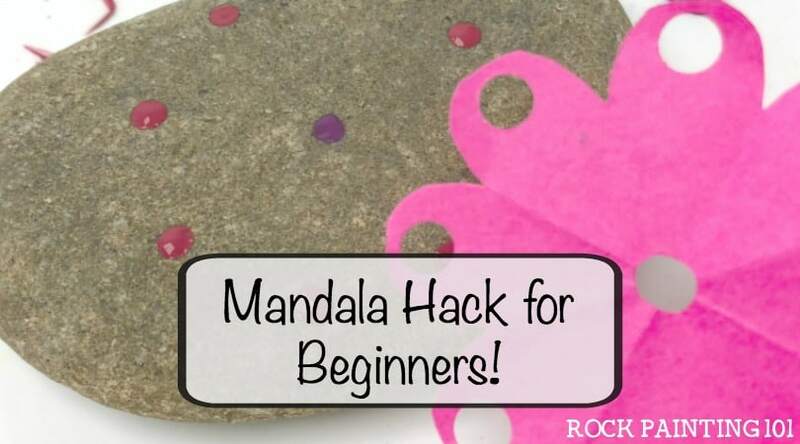 It’s perfect for mandalas and other rock painting ideas. 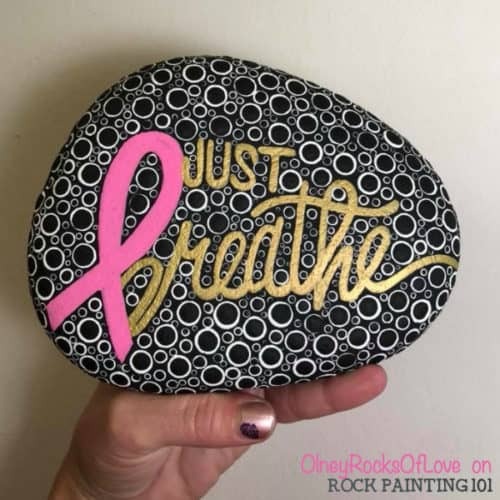 I am constantly blown away by the talent that I see in our rock painting tutorials group! This amazing dot stacking technique definitely stood out and I had to see if we could feature it on our page. Crystal is an amazing talent and shows just how fast you can pick up this wonderful hobby! 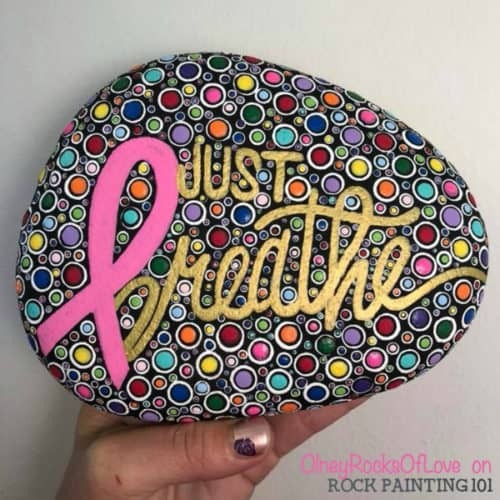 With a little under a year of painting under her belt, she is creating these beautiful one-of-a-kind creations! 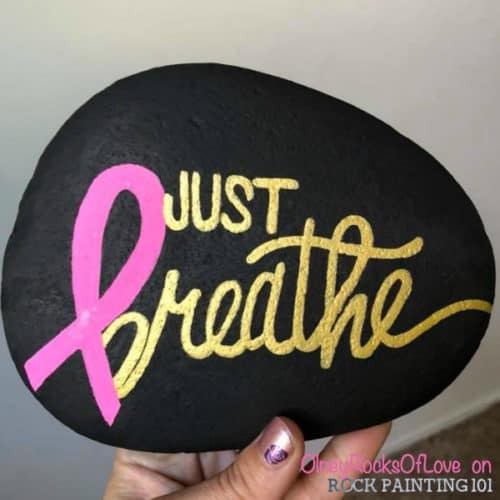 This fun technique will take some practice to perfect, but she has broken it down to where even first time painters can give this one a go! 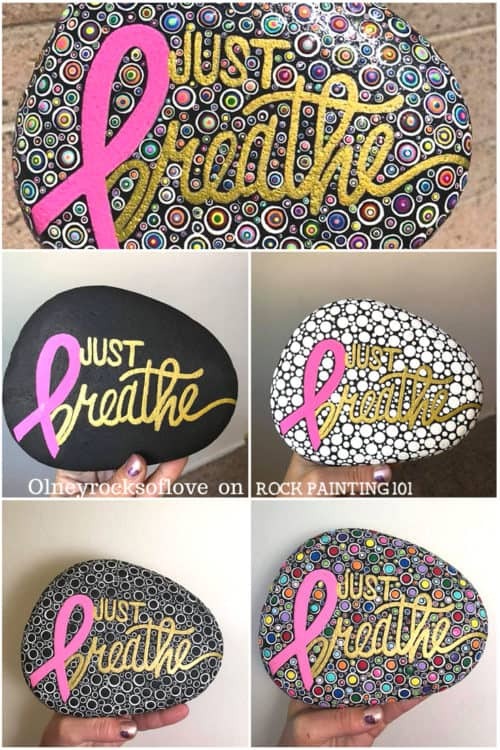 You can follow along with her awesome rocks on Facebook or Instagram! 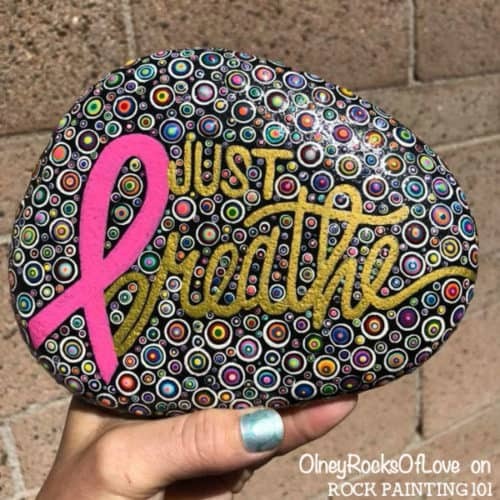 You can grab the Posca pens that used on this painted rock here. 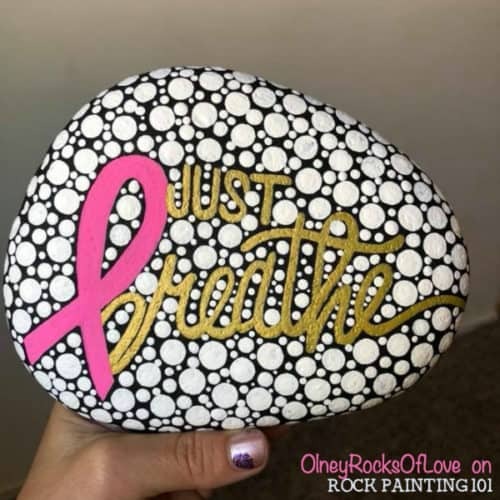 Begin with a darker basecoat on your rock. This will really help those dots pop! 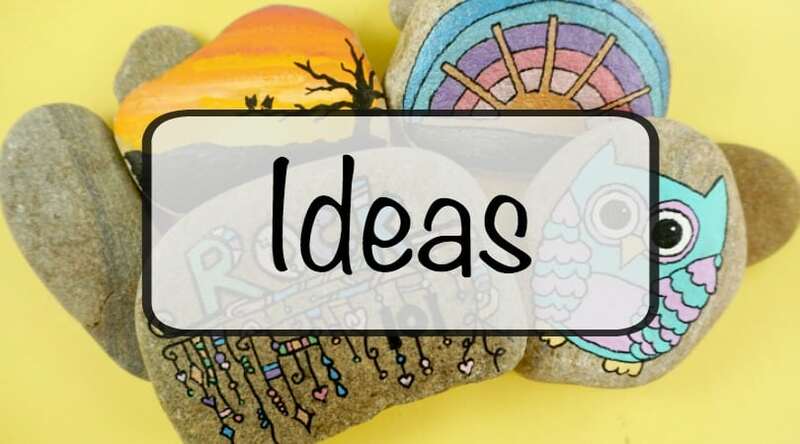 Add on the word or image you would like to surround. To avoid freehanding it on you can use a charcoal pencil first then go over with a paint pen. 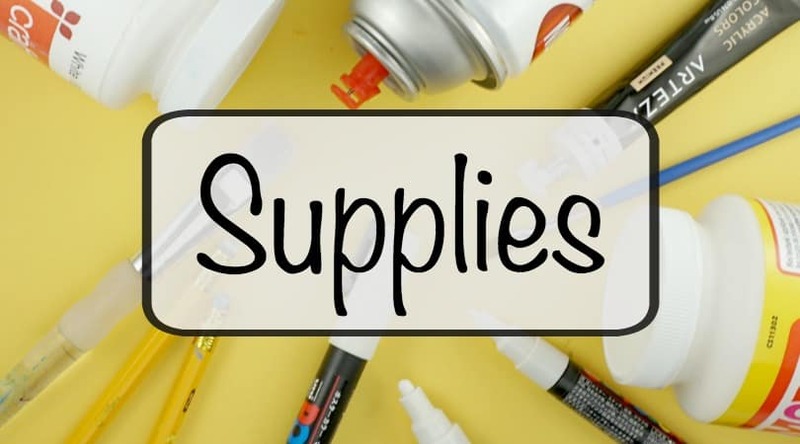 She uses our favorite, Posca, for her gold here! Now it is time to start dotting. Chrystal uses an eraser for her large and medium dots then moves onto dotting tools for the smaller ones. Work from larger to smaller white dots until the whole rock is filled. Try your best not to let the dots touch. If you make a mistake you can cover the dot with your basecoat color and place the dot again once dry. When all of the first layers of white dots are finished drying add a smaller dot inside each one of your base coat color. Once those dots dry its time to start adding in your colors! Alternate between a palate you like until you get to the smallest dot in each circle. 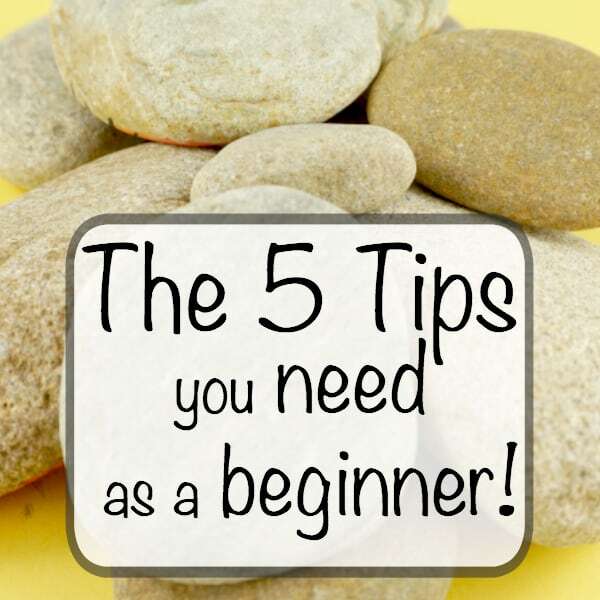 I hope you give this one a try! If you do come back and share on this Facebook post so that we can all see your wonderful creations! 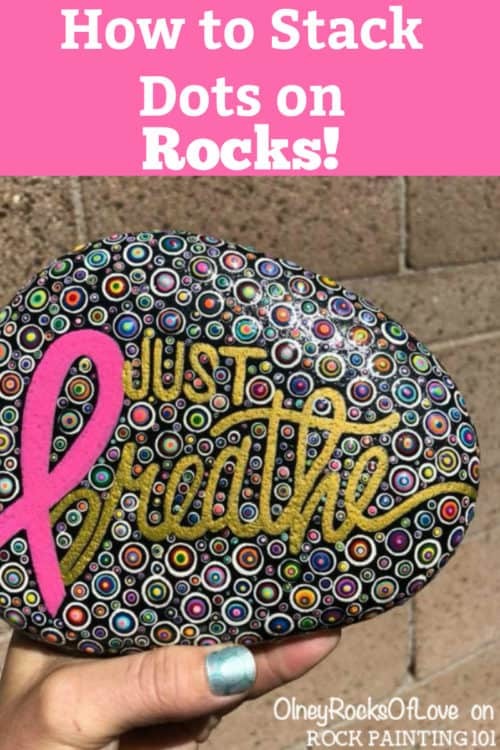 Pin this dotted rock to your favorite Pinterest board!